Race to the Dome is a canoe/kayak/SUP race on the Missouri River. Two race courses are available to paddlers – Hartsburg to Jefferson City (15.8 miles) and Providence to Jefferson City (27.6 miles). 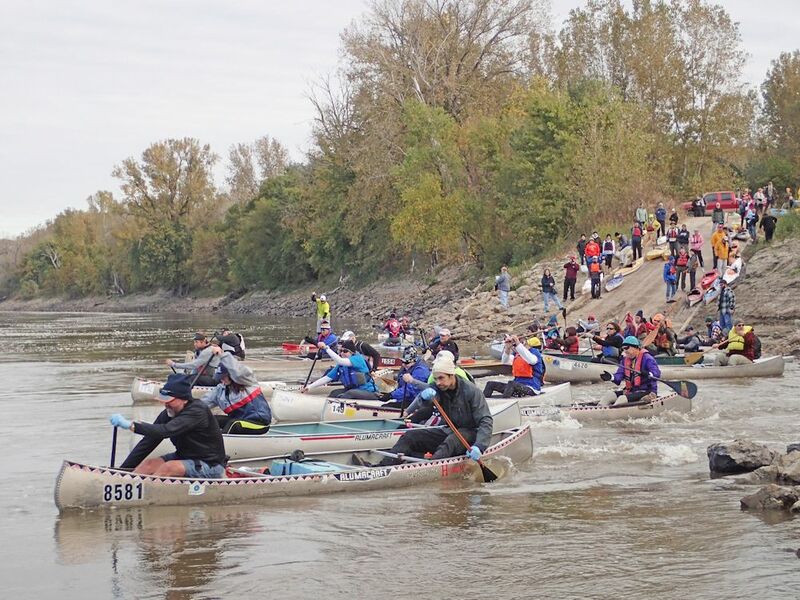 Proceeds from the race support Missouri River Relief’s efforts to connect people to the Missouri River through hands-on, on-the-river clean-ups, education and recreation. The race will start Saturday morning at 9 am at the Hartsburg Access and the Providence Access points. The race will start in heats by division. Race time will be between 2 and 4 hours depending on the paddlers’ experience. This is a perfect opportunity for novice paddlers to gain race experience and enjoy the beauty of the Missouri River.